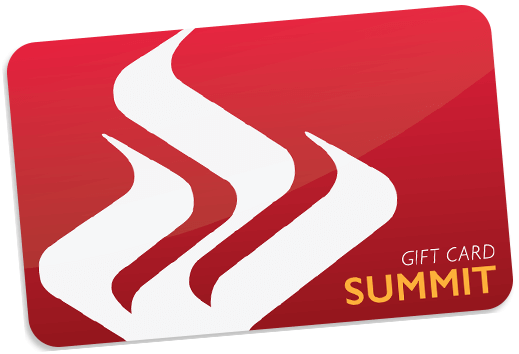 What to get, what to get… Get the Summit Gift Card! Summit Downtown, Inc. is pleased to announce a new way to support local Summit businesses while giving a great gift to that special someone. The Summit Gift Card is a VISA gift card that can be used ONLY at Summit businesses in and outside of the downtown! Available for purchase online or in-person, M-F, 10am-4pm, at 18 Bank Street, Suite 108. The perfect gift, the Summit VISA Gift Card is accepted at over 100 Summit restaurants, stores and service businesses throughout the City of Summit. Available in any denomination from $10 to $500, the gift card is fashionable and flexible and comes with a list of the participating businesses and a card envelope you can personalize. Scroll down for a full list of businesses that accept the Summit Gift Card or click here for a printable list. Summit Gift Cards are ONLY accepted at participating Summit businesses. Please see the list of participating businesses below. Transaction fee per card is $3.00. Shipping and handling $1.00. Note: Quantity can be changed on the next step. Note: Gift cards cannot be shipped outside of the US or to addresses in Hawaii or Vermont. I accept the Cardholder Agreement. Funds do not expire. After Card Plastic Valid Thru date, contact us for a no cost replacement Card. $5 fee to replace lost, stolen or damaged Card, except as prohibited by law. NON-RELOADABLE. NO CASH ACCESS. Purchase, acceptance or use of the Card constitutes acceptance of Cardholder Agreement. For Cardholder Agreement or customer service: www.getmybalance.com or 1.800.755.8713. Issued by MetaBank® , Member FDIC. You may use your Card at participating merchants only. (For a list of participating merchants, visit the website, which may be identified on the Card.) Each time you use your Card, you authorize us to reduce the value available on your Card by the amount of the transaction. Your Card cannot be: (1) redeemed for its cash value; (2) used to obtain cash in any transaction; (3) used for illegal transactions; (4) used to make foreign transactions; or (5) used for purchases where recurring payments may occur, such as subscriptions, memberships, rentals, etc. For security reasons, we may limit the amount or number of transactions you can make on your Card. We may refuse to process any transaction that we believe may violate the terms of this Agreement. YOU ARE NOT ALLOWED TO EXCEED THE BALANCE OF THE FUNDS AVAILABLE ON YOUR CARD. If you attempt to use the Card when there are insufficient funds associated with it, the transaction will generally be declined. Nevertheless, if a transaction that exceeds the balance of the funds available on your Card occurs due to a systems malfunction or otherwise, you will remain fully liable to us for the amount of the transaction. If you do not have enough funds available on your Card, you may be able to instruct the merchant perform a “split transaction” to charge part of the purchase to the Card and pay the remaining amount with another form of payment. Your card is valid in the U.S. only. It cannot be used at merchants outside of the United States, including internet and mail/telephone order merchants outside of the United States. You may wish to retain receipts as a record of transactions. a receipt in order to verify a transaction with us or the merchant. If you believe your Card has been lost or stolen or an unauthorized transaction has been made using the information from your Card without your permission, contact Customer Service IMMEDIATELY. We will ask for the Card number and other identifying details. Upon contacting us for any lost/stolen card, your funds will be temporarily unavailable until you activate your replacement card. We may not be able to assist you if you do not have the Card number.We may not be able to assist you if you do not contact us within 60 days of the unauthorized transaction. We will charge a fee as noted in the fee table above (subject to applicable law) for any lost/stolen Card, which will be deducted from the balance on the Card. A reissued Card may take up to 30 days to process. Arbitrations are conducted under this Dispute Clause and the rules of the arbitration administrator in effect when the arbitration is started. However, arbitration rules that conflict with this Dispute Clause do not apply. The arbitration administrator will be either: (1) The American Arbitration Association ("AAA"), 1633 Broadway, 10th Floor, New York, NY 10019, www.adr.org; (2) JAMS, 620 Eighth Avenue, 34th Floor, New York, NY 10018, www.jamsadr.com; or (3) Any other company picked by agreement of the parties. If all the above options are unavailable, a court will pick the administrator. No arbitration may be administered without our consent by any administrator that would permit a class arbitration under this Dispute Clause. The arbitrator will be selected under the administrator's rules. However, the arbitrator must be a lawyer with at least ten years of experience or a retired judge unless you and we otherwise agree. Either party may bring a lawsuit if the other party does not demand arbitration. We will not demand arbitration of any lawsuit you bring as an individual action in small-claims court. However, we may demand arbitration of any appeal of small-claims decision or any small-claims action brought on a class basis. A party may request details from the Arbitrator,within 14 days of the ruling. Upon such request, the Arbitrator will explain the ruling in writing.